Through a partnership with the nonprofit AdoptAClassroom.org, Burlington Stores is donating $10,000 to the magnet school of the arts. Jenifer Ricardo is Apalachee’s new principal. It’s also her first year leading a school. "Each teacher gets their own account to shop virtually with some partners, through AdoptAClassroom.org. With the money that Burlington’s provided they’ll be able to purchase items that will help their class," Ricardo said. Ricardo added teachers will have the flexibility to spend in the way that most benefits their students. "They can even personalize (the spending) for certain students that might need things like flexible seating," Ricardo said. "They can really base it on the students that are in their class right now." 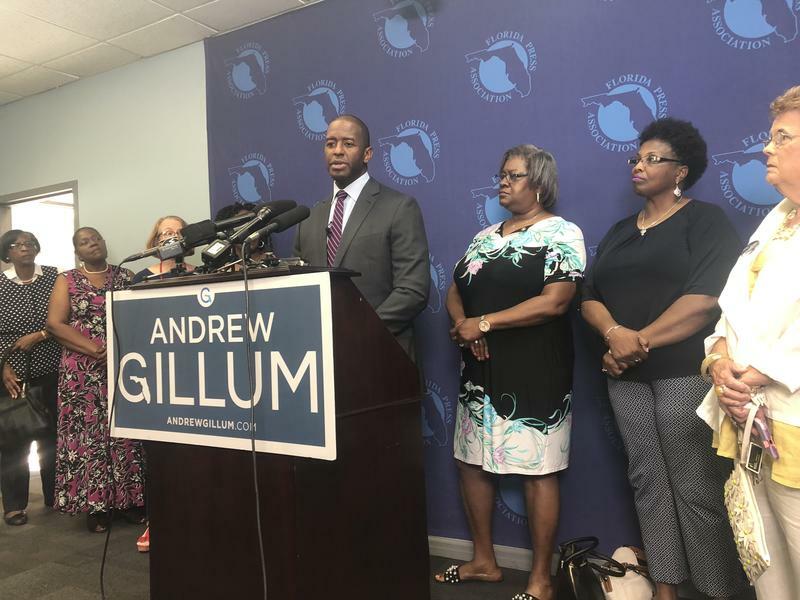 Democratic gubernatorial candidate Andrew Gillum unveiled his plans to raise teacher salaries and improve education statewide. His plan calls for $1 billion to go towards education. The Leon County School Board has passed a $531 million dollar budget for the current school year. Funding for district employees is up over last year. Superintendent Rocky Hanna explained some of that increase is to account for new programs and raises.